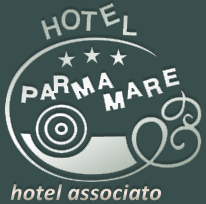 Hotel Eura 3 stars is a small, graceful hotel situated in a pleasant location, within walking distance of the sea and a short distance from the centre of Marina di Massa. It has impressive views of the Apuan Alps, which are within easy reach for excursions including the possibility of visits to the famous white marble quarries. Immersed in the green maritime pine trees and the peacefulness of the high Versilia coast, the Hotel Eura is an oasis of calm for those who want to spend a pleasant relaxing holiday. The hotel Eura offers to its welcomed guests a carefully detailed house; an extensive private parking area, closed electronically at night. 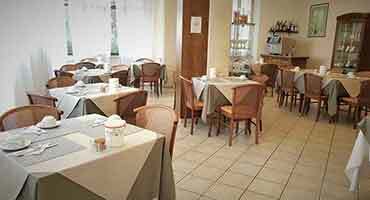 The Hotel Eura is managed by Mr. Matteo Felici, who, with the help of his staff, tries to create a serene atmosphere to offer his guests an unforgettable stay. Everything needed for a pleasant and peaceful holiday, surrounded by mature green trees, brightened by a beautiful variety of flowers, the ideal setting for a stay of total relaxation. The well cared cooking, offers fresh and wholesome ingredients, rich flavours which will excite the taste buds. The choices made for the menu follow the course of seasons and alternate with the specialties from Tuscany and Emilia Romagna. Every day the chef offers one meat menu and one fish menu with a rich buffet of appetizers, starters, vegetables, salads and local specialties as well as countless and delicious desserts. The Hotel has 10 spacious rooms, bright and welcoming with all you need to be comfortable: private bathroom, telephone, Internet access, colour TV, satellite, air conditioning, safe.